For, they aren`t West. They are savages and beasts. The Western Europeans had two world wars and concluded that "nationalism" plus "patriotism" on steroids is how they started. In their view, maybe such wars can be prevented when fewer people think in terms of "us" and "them". I have to admit that, as much as I hate the illegals, the second generation of Latinos speaking perfect English is just as American as anyone can be. The Western Europeans had two world wars and concluded that "nationalism" plus "patriotism" on steroids is how they started. Don`t buy that crap, dobri brate. Let us speak freely at least here in off-topic section of Polishforums. We all know that THEIR business started war, not any patriotism or nationalism. They needed excuse and it was plenty of that. Its actually exceptionally cruel and monstrous to blame Serbs for they shot down monster Ferdinand, when we all know that Serbs in Bosnia lived in A-H colony. It was only classical colony on European soil. But that ugly France and western Europe pathetically patronize people these days about what started war. Look THEIR casualties and look causalities of Slavs. 1/3 of total Serbia`s population died in war. Add to it total loses of Serbs in the region and its 2 million Serbs. I even don`t know what Serbian president doing in Paris today. Britain have its own ceremony. I think we Serbs have to have our own grand ceremony. Who gives a sh** for France and entire western Europe. All monster and perfidy after perfidy. While we were fought simple freedom-fighting war, they had to profit on it and no matter that, they have nerve today to blame us. Oh, how is ugly western Europe. So ugly ugly and disgusting. We all know that THEIR business started war, not any patriotism or nationalism. "Their business" may have wanted and started both wars, but without "patriotism or nationalism", they could not continue. Wars need people. Lots of them, not just the generals and guns. This is why Roosevelt had hard time getting the US into WW2 until the "patriotism" of the masses reached the necessary level after December 7, 1941. The Vietnam war ended when the Americans had enough of the body bags. In May this year, on my return trip from Warsaw to Chicago, I was not going to my "fatherland" or my "motherland". I was going home. A feeling like no other. Thank you, President Macron, for reminding me about it. French ambassador to Serbia Frederik Mondolini, as his own gesture, despite instructions from Paris, asked for space in Serbian public media and apologized to Serbia and Serbian President because Serbia`s representatives were stranded and humiliated (as prominent French ally from WWI), in Paris during ceremony. Ambassador spoke of protocol mistakes and said how he feel sory because his country France made such a serious mistakes, that strange things happening in France. Considering acted on his own in Serbian mass media, ambassador now awaits to be recalled from Belgrade back to France. This was because they still naively believe that Serb Gavrilo Princip was the main factor behind the outbreak of the Warld War I. Its not naivety. They know real reasons for war. Its intention to harm Serbia. Plus, they promoted Kosovo state in Paris and that way insulted Serbia. And EU don`t have united stance on Kosovo, because 5 EU member states didn`t recognize Kosovo. Still, France push for Kosovo (Greater Albania, old Napoleonic project to weaken Slavic South). 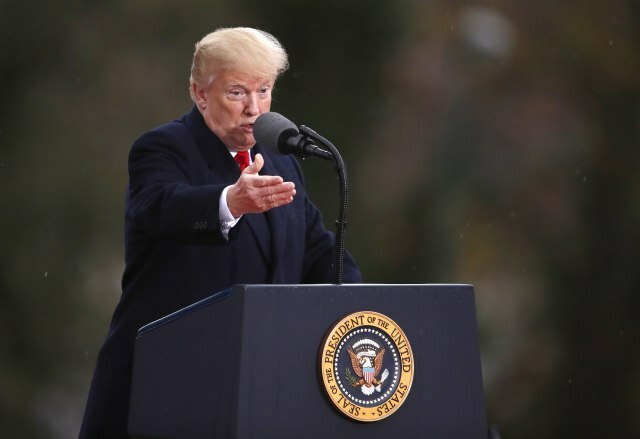 ..... series of tweets in question, where Trump brings up and criticizes a range of issues - from the idea to form a "European army" to trade tariffs - and ends with the message "... MAKE FRANCE GREAT AGAIN!" I hesitated how to respond to the above for about 750 ms. Then, I decided that I will be the designated adult. That's from a country whose chief a-hole told the world why the EU needs its own army: it's the grandsons of the WW1 dead Americans planning to attack France. From now, I will celebrate the death of every French man, woman, and child killed by their Muslim refugees. 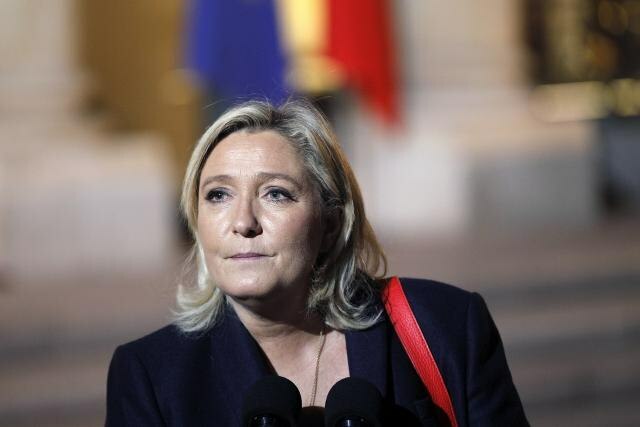 Even Mari Le Pen won`t be able to save France when come to power. She will have to work with colonial offspring that will in itself become victim of manipulation. Say that Micron isn`t criminal. Complete western Europe is one great criminal association. Many French intellectuals, public persons, retired generals and descendants of WWI veterans sending letter of protest and fu** Micron because of Serbia, telling him that he didn`t humiliate Serbia but them, that they now feel dishonored. I see the fanatical nut job that you are rising to the surface (scum does just that) , its nut jobs like you that carry out mass shootings and other atrocities around the world. Politicians come and go, nutters like you fester like a gangrenous wound in society, until one day you erupt. Let us, let us all calm down. No need for us here to upset each others because Micronian man with micronian habits. In truth, Micron is mass killer of its own population. Many politicians are, those like Micron, Merkel, Theresa May, those are exceptional mass murderers. Sometimes, in attempt to found real words to describe those lunatics, to this madness that is around us, in France particularly, we may use some tragic phrase. See, that is what happened in statement of brat Rich. He merely pointed out fact how are real French dead and that even don`t know how they are dead. Walking dead. Practically zombies. That what is now France killed them. Veterans sacrificed nothing. There were not volunteers. Few were and they were young and stupid to do it. Huge majority were drafted and dragged to Europe to kill or be killed. That's it. As far as the French dying, it is they who are sick by allowing all that human garbage in. Would you rent to a room to a child molester with your daughter sleeping in the room next to his? That's what the Euro idiots are doing - with pride and a smile. And the consequences they don't want to hear about. FU, a-holes..
To put cross on myself and spit on the ground three times, Paris and Bon are modern day Sodoma and Gomora. London managed to be Meka and Merdina all at once. I was told that France and Germany (and the US) are democracies where what people want counts - as opposed to communism. This means that what happens in Paris and Bonn is what people like and approve. Including murders and rapes. Enjoy. I was going home. A feeling like no other. Isn't it an overwhelming feeling coming home, just as you're landing at the airport? Its hard to describe this feeling after returning from a foreign country. Its like, Im free again. As for France: Most Americans think they are rude and dont really care what happens to them anymore. This means that what happens in Paris and Bonn is what people like and approve. A few days back they discovered a criminal in Germany. Some ******* who offered people his services as carer and nurse. It was found out that he used the trust of people in need to rob and even kill them. How would a vote against something like that look like? To close the borders? No polish laborers in Germany allowed anymore? Start with no welfare for foreigners or make it unlivable as in Poland. The problem is that people in the WE and the US are not outraged by the influx of foreign human garbage. Instead, they are intimidated and silent. That is why a forum like this plays a role even with the numbers as low as they are. "The Pole was an unskilled caregiver..."
Why would Germany tolerate any unskilled human garbage like this one? Trump is right again. The word is "merit". Germany's population is aging, more carer are needed. His service offers fell on open ears. How could we have known beforehand that he is human garbage? Yes, he was desperately needed. He started working immediately, and had no criminal record, just like hundreds of thousands of Polish people. But just as in any large group of people (native, migrants or refugees) you will have a few bad egg. There is no realistic way to stop it without banning migration alltogether. Yes, he was desperately needed. OK, I got it. Germany couldn't exist as the only country. It would have to look for ET's to do the work some Germans just will not do. Don't bring up the natives when the crime is committed by a foreigner. The first one is not preventable. Neither is the second, at least not at a price most people are willing to pay. You would have to ban all foreigners from Germany, which - aside from the pracitical impossiblity - would affect de facto every German, either directly (because we then lack the necessary workforce) or indirectly (loss of wealth). And that leaves out the many Germany who live in foreign country and would in return become the target of reprisal. Neither is the second, at least not at a price most people are willing to pay. The victims of the imported criminals gladly would. So screw over millions for the wishes of a few hundred? Cars kill thousands of people every year. Let us ban them too. The so-called cheap immigrant labor is a lie. The pro-immigrant liberals do not show the other side of the ledger: the costs of schooling, medical care, incarceration and welfare. Those are estimated at about 150 billion a year in the United States. That amount is borrowed by the governments, state and federal, or hidden in taxes - income, sales and the real estate, so the buyers of that cheap immigrant labor don't see it as a direct invoice. If you divide 150 billion we spend in the Latino scum by 150 million working Americans, you get 1000 bucks per taxpayer per year. That is how much the Latino garbage is costing us in the stealthy way. The damage to the US middle class comes in yet another form. Immigrants suppress wages, which leads to a whole list of social pathologies like underemployment, stagnant wages, divorces, kids dropping out to help, crime and depression. Why do you think we have the problem with psych drugs all over the country? Because people are so happy? When an American has to compete with an illegal pos working for 8 bucks an hour at a hamburger joint because the local factory closed down and reopened in Mexico, this is when popping a pill becomes a solution. Yeah, that cheap immigrant is wonderful, but only to the brainless idiots. And Democrats. Your entire post is an accurate account of what is happening to this country. The Democratic party is a far cry from the days of Kennedy or even Bill Clinton for that matter. These extreme left socialist will be the downfall of them. I hope, it only take a few election cycles to get rid of this PC madness. Most Americans still dont care what France thinks, never have, never will..pffft!